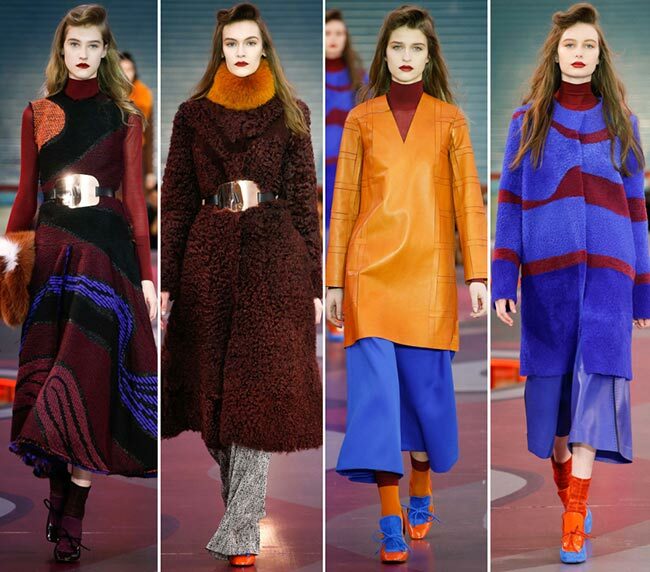 The first ROKSANDA store opened just a few months ago, in June of 2014. 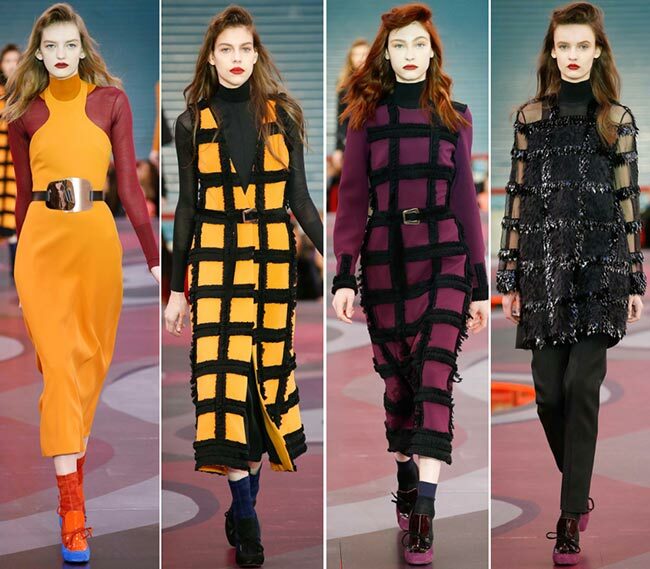 It marked a new milestone and we have been quite excited about seeing the simplicity of the Ilincic designs come to light during this unveiling of the Roksanda Ilincic fall/winter 2015-2016 collection. We were not disappointed in the least and can certainly understand what attracts women like the Duchess of Cambridge, Michelle Obama, Charlize Theron, Amy Adams and Keira Knightley to the brand. In November 2014, Roksanda Ilincic was named Businesswoman of the year, and with good reason, Her pieces are stunning, to say the least! 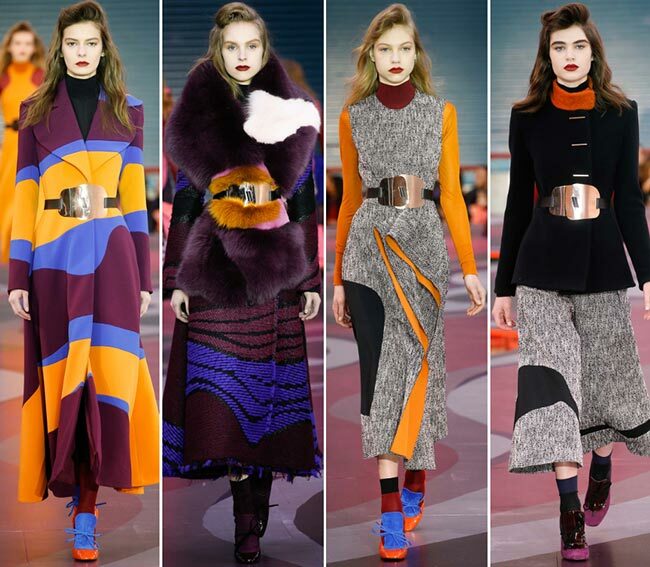 With a loyal VIP following, Roksanda Ilincic is a beautiful fashion designer from Belgrade, currently living in London. Since 2005, her pieces can be found on the London Fashion Week runway, with swimwear and a children’s line also added to her ready-to-wear collections today. She has typically always loved to use different shapes as well as bolder colors in her seasonal lines, and has become one of the go-to designers for that simply effortless daily outfit designs and eveningwear that will leave one’s partner gaping in awe. There is a certain modern approach to the luxury fashion here and the Serbian artist knows exactly how to manipulate colors and fabrics to achieve the looks that form the current cravings of society. 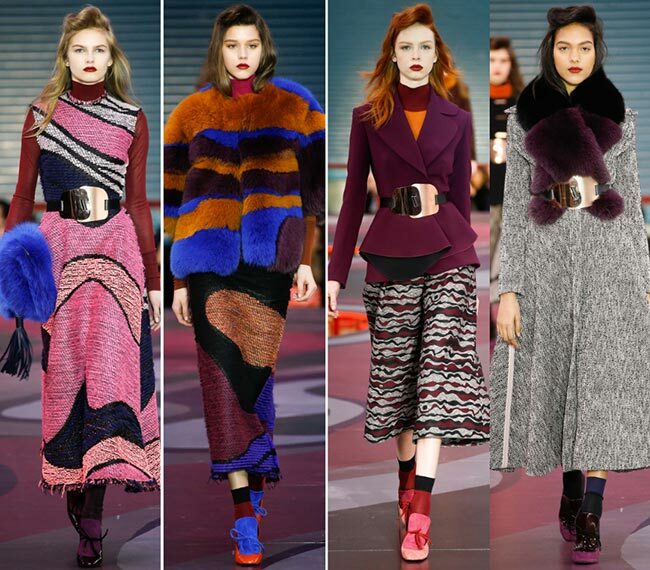 Pretty colors and furs abound. 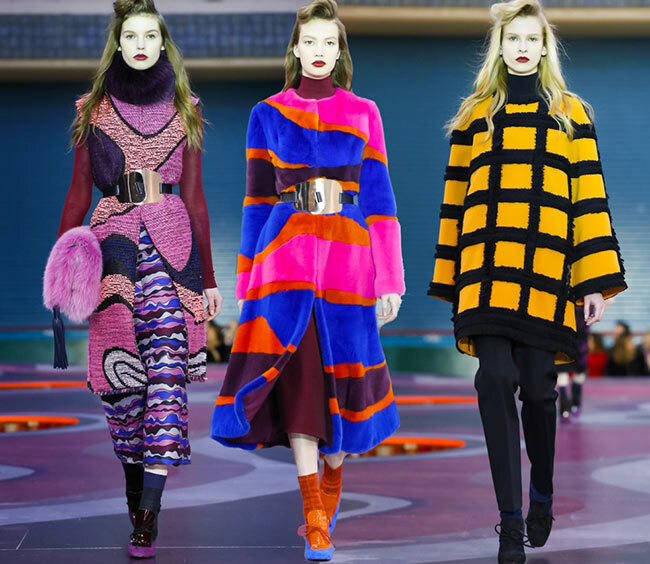 There was nary a solid colored outfit ensemble to be found among this collection, other than the black, that was made to literally keep one warm from the chill without pretending to be a pre-fall collection. 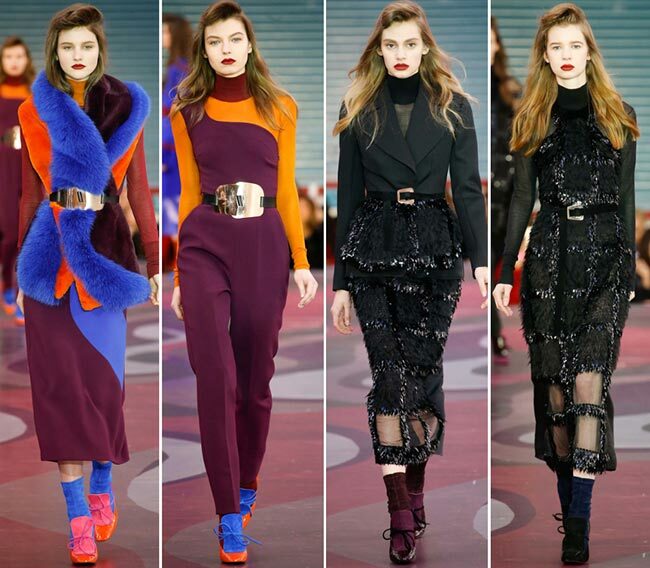 It included the turtlenecks and the long sleeves, the half socks with the shoes and the suede half boots. Blues, browns, pinks and orange, hues of purple and mustard coloring, while black makes an appearance here and there as well. It was a never ending runway show, a platform with its swirls and whirling patterns that matched the pieces perfectly. Between the cinched waists with the large metal buckled belts and the curving designs on so many of the pieces, model and catwalk seemed to be a perfect fit. We had no short pieces, no extra skin shown. But we did have some culottes and hems that reached mid-calf instead of falling to the ankles and below. We have shoes covering the feet in colors that would make a clown quite happy and us wondering about where on earth we would wear some of them. While the black with purple sole works fine for everyday casualwear, the bright orange with sky blue may not fit in so easily, nor the bright pink with orange sole. While we started with heavier materials, we quickly moved on to lighter weight fabrics and finally to see-through mesh in black and purple. We moved from super colorful to simple black and dark grey, from swirling patterns to check bars in perfect squares, lined with white tinged shimmering fringe, part of skirts, whole dresses, blazers and tunics. 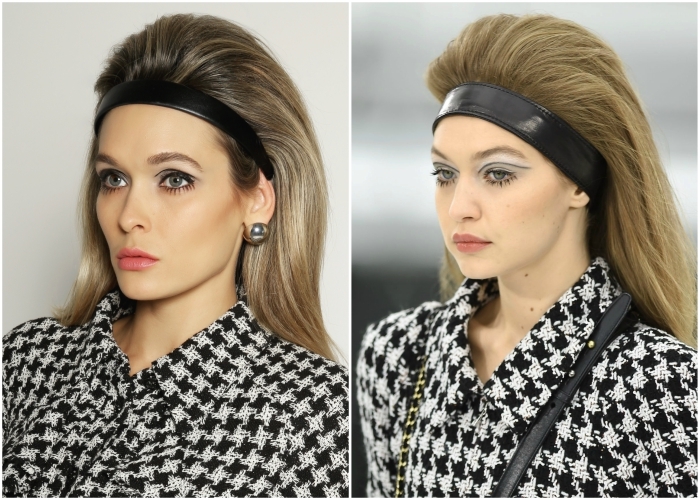 The retro style hairdo caught our attention as well, particularly having it thrown over the shoulders and fanning out in the boho waves with such alluring beauty. 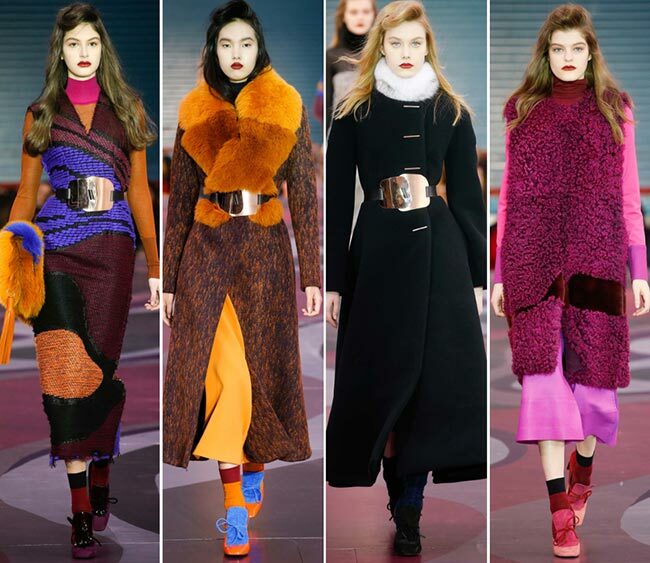 While some pieces might appear a little too furry and not quite defined for our tastes, the Roksanda Ilincic fall/winter 2015-2016 collection offers a rather intriguing array of choices for our wardrobes in the chillier seasons.